DNA Romance bring chemistry to online dating using DNA matchmaking & we also forecast personality compatibility using psychology! DNA Romance is an online platform for people looking to find genuine relationships based on chemistry and personality compatibility. We provide evidence-based matchmaking saving people time, money and frustration by matching them with Mr. Right or Ms. Right sooner. You can see your matches now by completing the three steps below. Once you subscribe you will be able to see and communicate with your matches for free, with no credit card required! 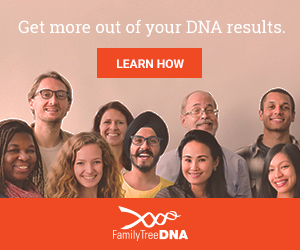 If you already have DNA testing data? Download your raw autosomal DNA and save it in a safe location. Here are instructions to login and download your data from 23andMe, or Ancestry DNA, or Family Tree DNA, or My Heritage, or Genes For Good, or Vitagene, or Living DNA. Don't have a DNA test from 23andMe or Ancestry DNA? No worries order your personal DNA Collection Kit now! Complete your DNA Romance profile ensuring DNA is uploaded. Go ahead and break the ice with a message , or if you're too shy, send them a like . If they don't meet your criteria then delete them or, add them to your maybe list to revisit another day. Romantic "Chemistry" is first sensed by your nose when you first meet someone in-person, and the scientific research demonstrated that people with differing DNA markers in major histocompatibility complex (MHC) genes will find each others scent to be pleasant and are more likely to have a lasting romantic relationship. Our algorithm uses information from ~102 DNA markers to forecast "chemistry" between you and other members. Our personality compatibility rating is based on the 16 "personality types" possible with personality typology developed by Carl Jung's and Isabel Briggs Myers'. By analyzing all possible combinations between the 16 MBTI/Jung personality types DNA Romance have developed a scale that provides maximum weight to compatible personality types, and less weight to personality types that tend to clash. I’ve spent more time thinking of DNA and matching and all the things you’re talking about -- that is the future. "Romance is in the air"..."It’s the scent that comes from the unique combination of proteins that pepper the surface of our cells, helping our immune system tell the difference between friend or foe." This year, we’re seeing the green shoots of a DNA matching movement, with companies like DNA Romance measuring compatibility based on cheek swabs and body scents. I have always found that the one I was in love with smelled good, and the more copious her sweat the sweeter I found it. DNA Romance is a dating app different from others: it uses genetic information in order to come up with the best matches, ensuring high compatibility. "DNA dating tests..could guide choice of partners"
DNA Romance translates genomics information hidden in your DNA into actionable advice to help your personal dating life. Part of the challenge on DNA testing is that there is no outcome of it. So people get their DNA tested and get some bad information - oh, you have this propensity to Alzheimer's or Diabetes. So turning DNA information into something that is actually actionable is interesting to me. DNA Romance is open to people who are 23andMe.com or Ancestry members and already have DNA tests completed. If this takes off and proves successful, who knows how the online dating game will change. DNA Romance の根底にあるのは、ユーザーの外見の好みや、ざっくりとした質問回答内容による人柄を判断要因にするのではなく、DNA＝遺伝子の相性で候補者をマッチングさせるという点。 The point underlying "DNA Romance" is that it matches the candidate with DNA = gene compatibility, not judging the preference of the user's appearance or personality based on the rough question answer content as a judgment factor. Try the DNA Romance Web App now and see your matches in 30 min or less. Our personality matchmaking feature now allows you to test the platform and be matches with people who share personality compatibility, without the requirement for a DNA test. We are also building mobile Apps, coming soon to the Google Play and Apple App Store. Forecast Romantic Chemistry Using DNA! The DNA Romance analysis can be completed with DNA files purchased from DNA Romance, or by uploading your raw DNA test results from direct to consumer companies. To use your existing raw DNA data file from another DNA testing company be sure to download your "raw autosomal DNA file" and save it to a safe location, here are instructions for: 23andMe, Ancestry DNA, Family Tree DNA, My Heritage, Genes For Good, Vitagene, or Living DNA. Save 50% off our personal DNA testing kits, your at home DNA collection kit is suitable for one person and contains 2x cheek swabs, 2x shipping tubes and instructions for the DNA sample collection. ** Our DNA Collection kits are inclusive of taxes and postage to your residence, buy now with PayPal/Credit Card or using Cryptocurrency. We also give you the option to choose from several DNA testing companies who allow you to download and transfer your raw autosomal DNA data file for other kinds of DNA analysis. Available to residents of the USA Genes For Good is a research project run by The University of Michigan in hope of providing valuable biological insight into the causes and treatment of heritable diseases by generate and analyze an enormous database of health and genetic information. Simply answer a series of health care questions on their Facebook APP and get your free DNA test. Refer your friends and other single people to earn commisions on their purchases, join our Affiliate Program now.